This loving mother goose keeps a sharp eye on her gosling as they swim on a "pond" of woven ribbon. 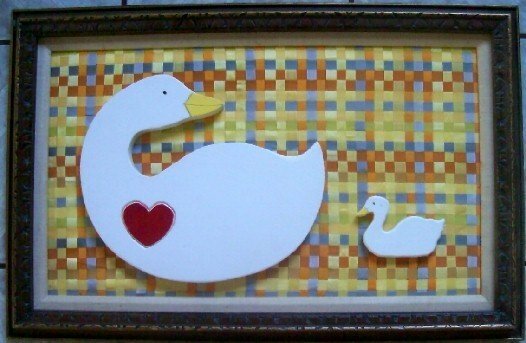 Geese are painted wooden cutouts, framed in a solid carved wood frame. Total width is 29 inches, total height is 18 inches.